Thanks to upcoming updates, Google Apps users (essentially Google for business) will now begin to see better sync of information between Gmail and Google Calendar. Once updated, when a user receives an email containing information such as flight, movie, and hotel confirmations, the information will automatically be loaded into your Google Calendar as an event. That means no more copy and pasting information yourself from one app to the other. 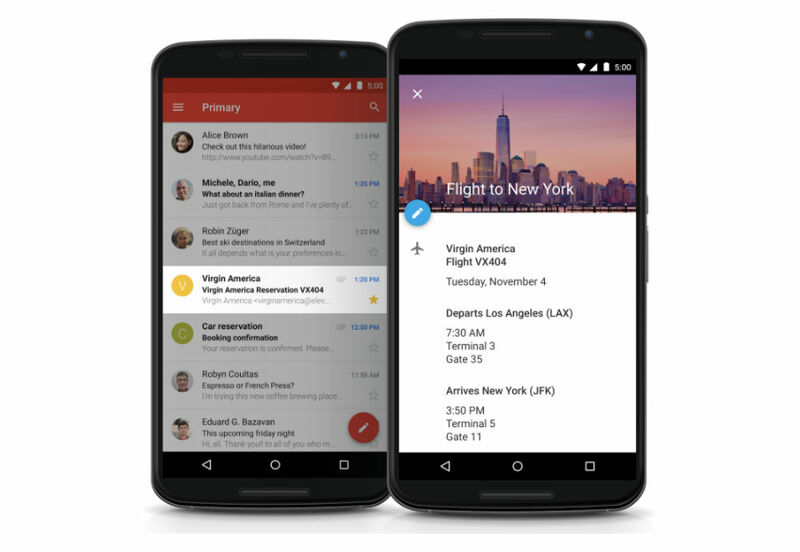 Google Calendar will even automatically update information for you if it happens to change. This feature will be turned on by default, but can be disabled if you so choose in the settings. To notify users of this change, Google explains, “Once the first event from Gmail is added, a one-time email notification will also be sent to the user from Google Calendar, explaining the settings and sharing details for events from Gmail.” So don’t worry, it won’t surprise you too much. If you use Google Apps, be on the lookout for this exciting update.